Ben Ross Golf Tuition | Dustin Johnson Smashes it out of the Range – 325 yard Carry! 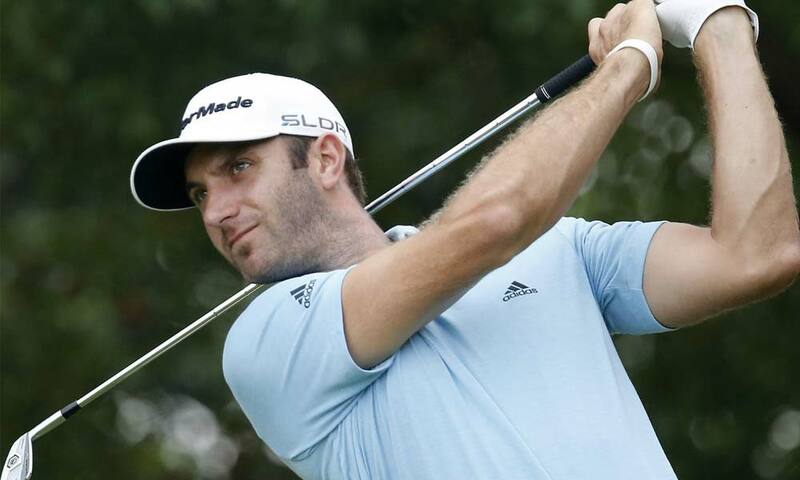 Dustin Johnson Smashes it out of the Range – 325 yard Carry! Dustin Johnson drives it out of the park at The Deutsche Bank Trophy 2011. The back fence is 325 yards and his ball is flying it! – Something even Tiger Woods would struggle to do. Dustin’s club head speed has averaged 121 mph this year ranking him in 4th position on the U.S PGA Tour. His speed like many long hitters on the PGA tour comes from an ability to make a big shoulder in the back swing while restricting the rotation of his hips. His first move in the transition from backswing to downswing is to drive his hips towards the target while rotating them to the left. While doing this Dustin retains a large proportion of his shoulder turn which sets-up a good down swing plane and creates a huge amount of torque between his hips and shoulders. This spring like effect catapults his torso, arms and then clubhead into the back of the ball with huge speed. Dustin is also 6ft 4 and weighs 190lbs, his long leavers and powerful, flexible physique help to maximise the result of what is a hugely efficient and well sequenced golf swing. How can we learn from Dustin’s swing? Ever wondered why the Pro’s make hitting the ball a long way look so easy. Wonder no more!